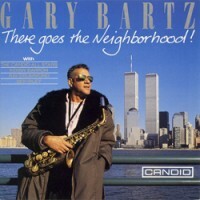 For an engagement at New York's new Birdland club in March 1990, Bartz assembled an excellent quintet for his first Candid album. On trumpet and flugelhorn was the fine Brazilian musician Claudio Roditi, who was garnered a great reputation through his appearances on both sides of the Atlantic and in the ranks of Dizzy Gillespie's United Nations Orchestra. The rhythm section, piloted by pianist John Hicks, with whom Bartz worked in the Jazz Messengers all those years ago, knits together superbly to supply unflagging and intelligent support for Gary and Claudio. Hick's thoughtful and percussive solos are always a bonus. Drummer Al Foster, another ex Miles Davis sideman of many years experience, keeps the rhythmic furnace well stokes and bass player Ray Drummond shows why he is one of the busiest musicians on the New York Scene. Bartz and company were not content to sketch out a few flimsy "originals" for this occasion - although they fully explore a clever and challenging blues by Gary - but instead explore a neglected but worthy jazz composition and a trio of standards which have been tried and tested. 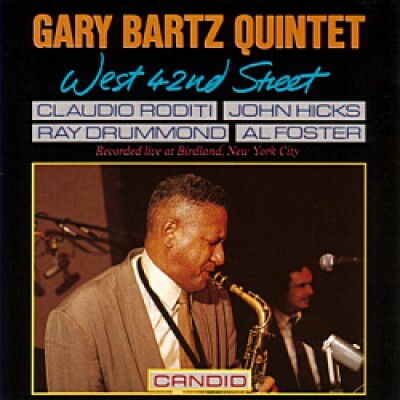 Without a doubt, Gary Bartz is sustained by the jazz tradition. He has melded what has gone before and added his own personal stamp on the music. We are ever aware of his respect and love for Parker, Coltrane and Rollins, but we can hear that he is his own man. What comes out of his experience and saxophone is pure Gary Bartz!